He may as well deal with the master if he wants to get anywhere. In his attempt to derail the Riyadh summit, Olmert tried the diverionary tatic of holding a meaningless regional conference that would include the leaders of Arab countries like Saudi Arabia that do not have diplomatic relations with Israel. Olmert's proposal was rebuffed by the Saudis and others as a non-starter, and was viewed by Western and Arab diplomats as a diversionary tactic to avoid committing to more detailed negotiations through the smaller Arab League working group. 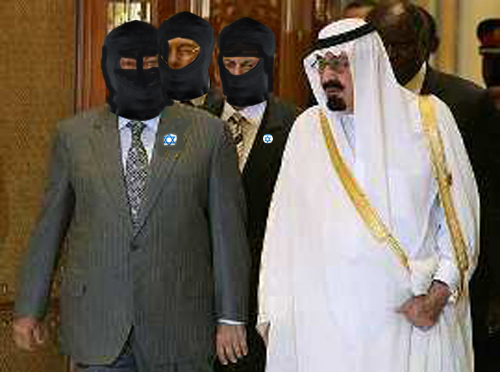 The Saudis have therefore gone to the source of power for Israel and invited the AIPAC Executive Committee to the talks. All the Arab leaders agreed and said you would be better talking to the master rather than to the dog.